Here, I’ll briefly cover the installation of the first delivery controller and verify that the mirror is detected by Citrix. 1. 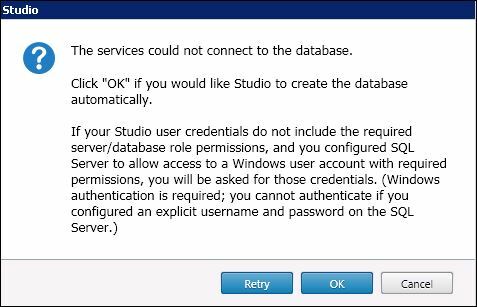 In terms of the installation of Citrix, overall I accepted the default options but I did uncheck Install Microsoft SQL Server 2012 SP1 Express on the Features screen since the database was mirrored on SQL Servers. 2. 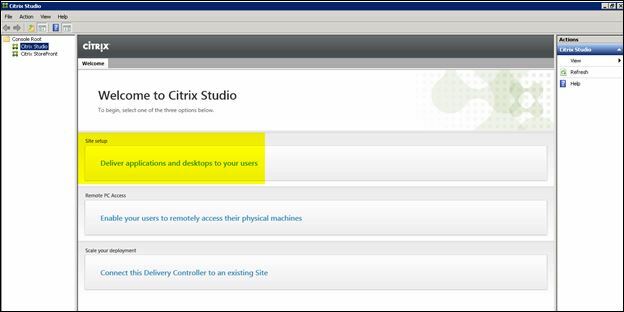 After the installation is completed, launch Citrix Studio. 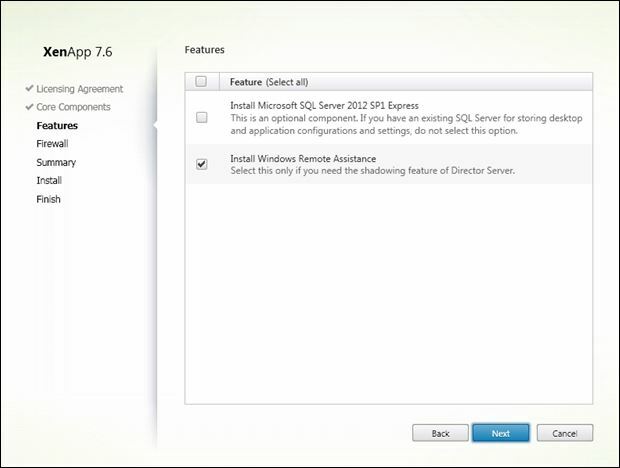 Under Site Setup, click Deliver Applications and Desktops to your users. 3. On the Introduction screen, enter a Site Name and click Next. 4. 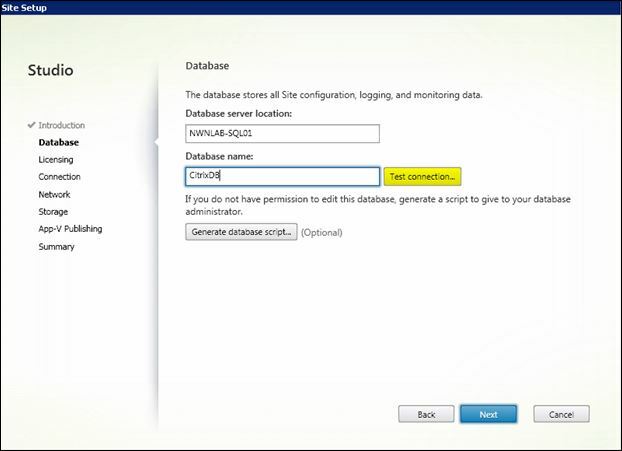 On the Database screen, for the Database server location, enter the principal SQL server. 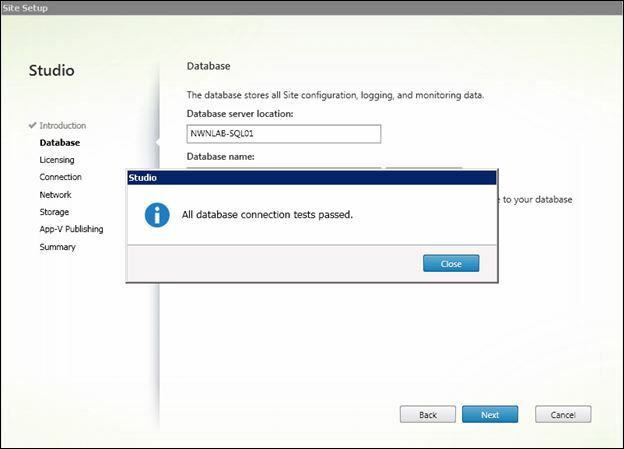 Under Database name, enter the SQL database name as created earlier and then click Test connection. 5. When prompted that the services could not connect to the database, click OK.
6. When prompted that the database connections tests have passed, click Close. 7. When returned to the Database screen, click Next. 8. 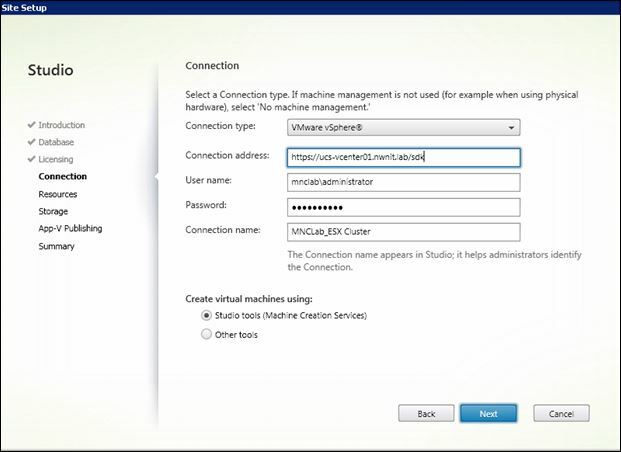 On the Licensing screen, specify the appropriate license configuration and click Next. 10. 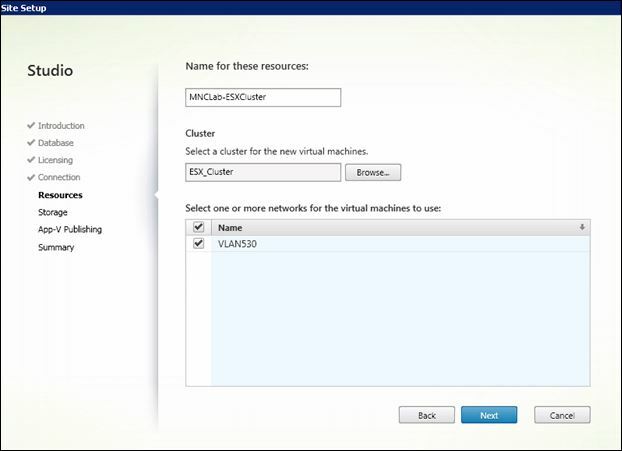 On the Resources screen, specify the Cluster and virtual networking for virtual machines then click Next. 11. 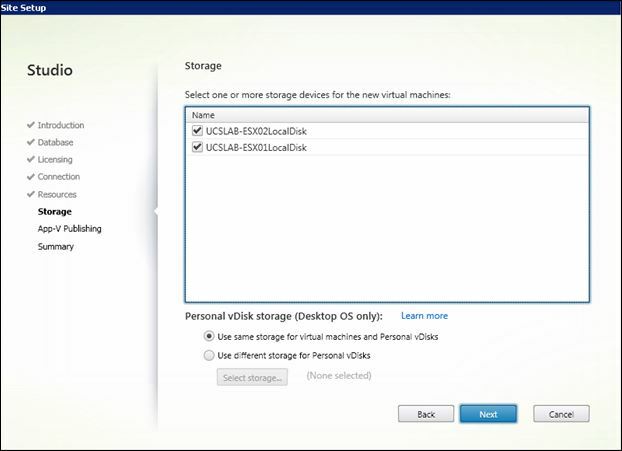 On the Storage screen, select the storage devices to be used by virtual machines and click Next. 12. On the App-V Publishing screen, make the appropriate selection (Yes or No) and click Next. 13. On the Summary screen, click Finish to build the site. It may take some time for the Site Setup Wizard to complete its tasks….be patient. 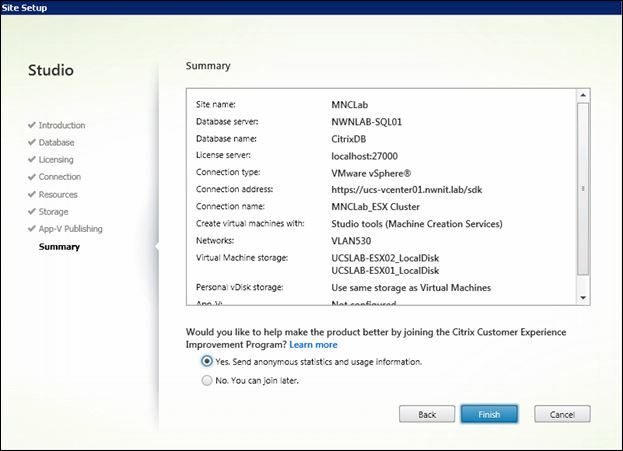 With that, the Citrix database and site are configured according to best practices. Again, you can configure mirroring after the initial site creation process, but you may find it easier and safer to perform this process prior to rolling it out into production.